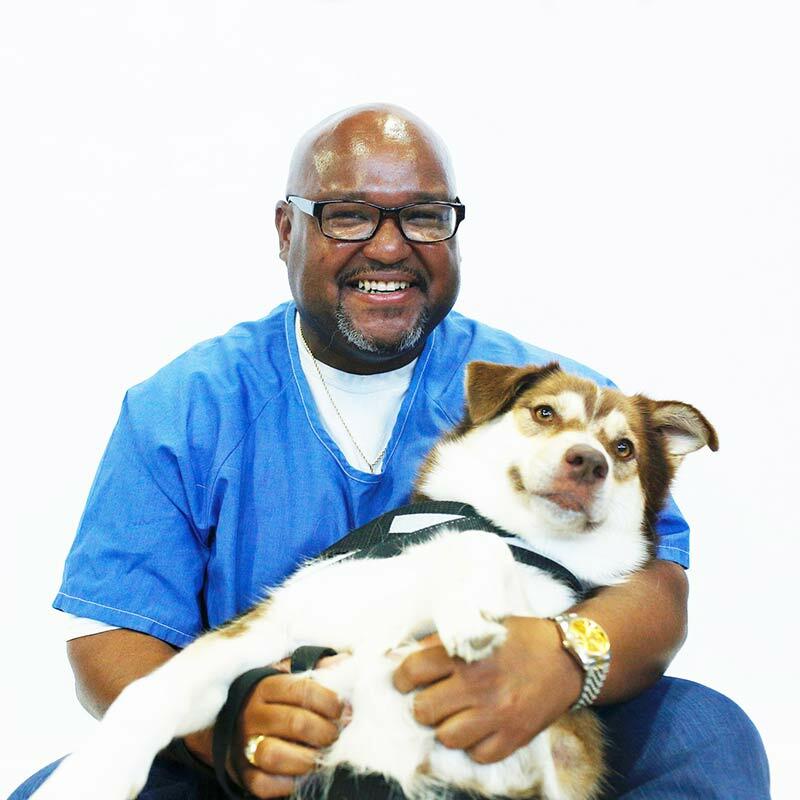 In April of 2014, PFL was the first dog rehabilitation program ever launched in a men’s maximum-security prison. Our inaugural cohort of trainers included fifteen men from the California State Prison “Honor Yard” in Lancaster. 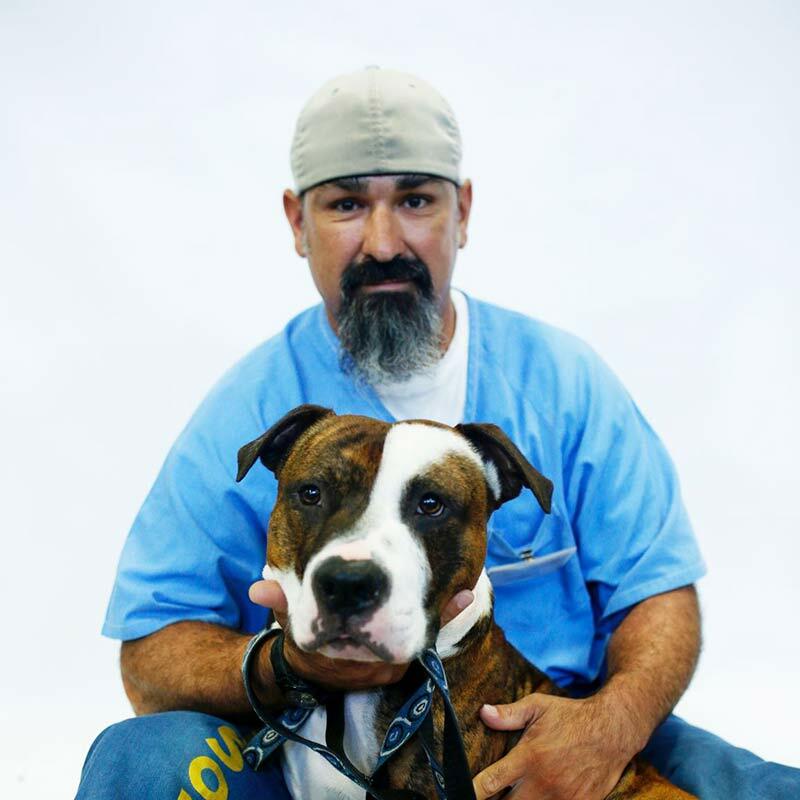 To join the team, the inmates committed to ten weeks of work: they had to share their lives with fifteen dogs from high-kill Los Angeles shelters. 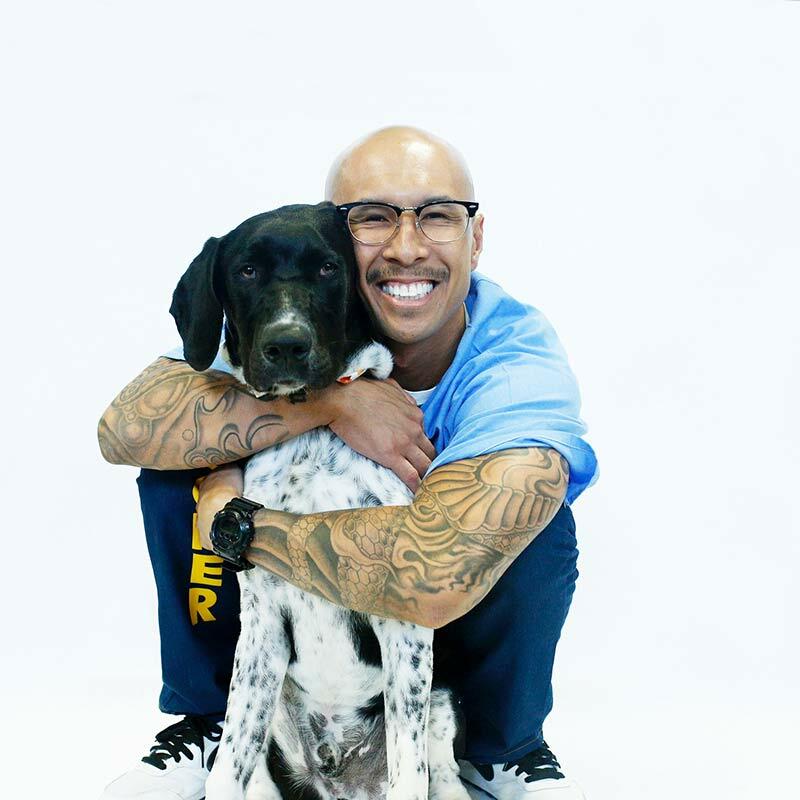 Working in collaboration with a trainer, the inmates—most of whom faced life-sentences—built dog runs outside their cell block, worked in shifts to care for and socialize the animals, and created a bridge to the outside world. All fifteen dogs earned their “Canine Good Citizen” (CGC) certification through the American Kennel Club, and the men were able to introduce the dogs to their new families. 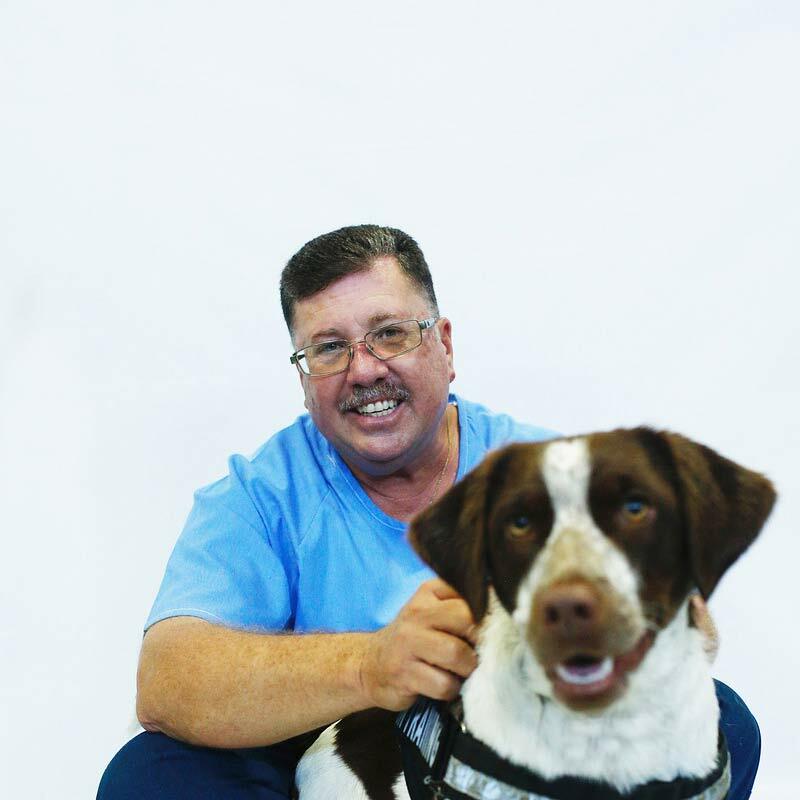 Since 2014, 58 men and 173 dogs have worked through this program at Lancaster, and since 2016, 37 men and 110 dogs have participated in PFL at the Mule Creek State prison in Ione. Eight men from the original team of trainers from Lancaster have since been released. Three of these men work in non-profit organizations and two are professional dog trainers. 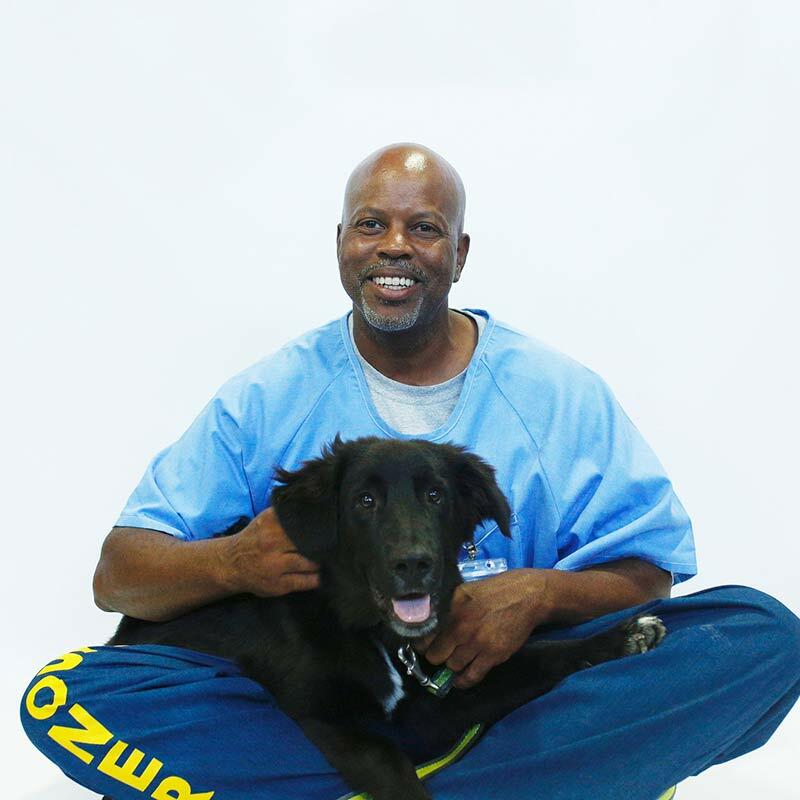 California Governor Jerry Brown has recognized the success of our program: Paws For Life has had the most commutations of life-sentences of any program in the state. 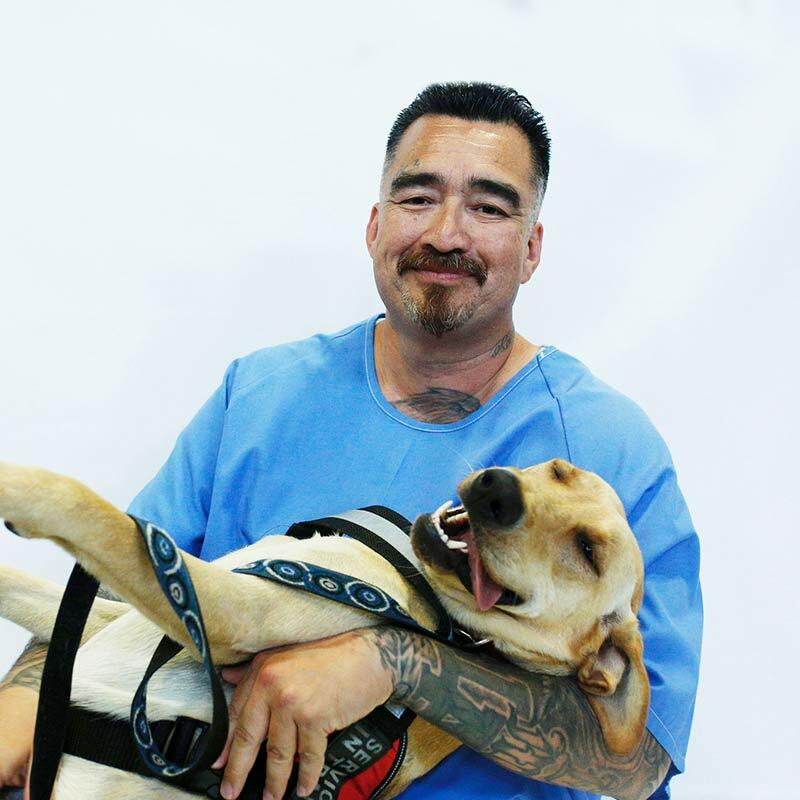 Despite facing long sentences behind bars, our inmates have forged a new model for rehabilitation and have set a precedent for other programs to follow: now there are seven such programs in prisons throughout California. 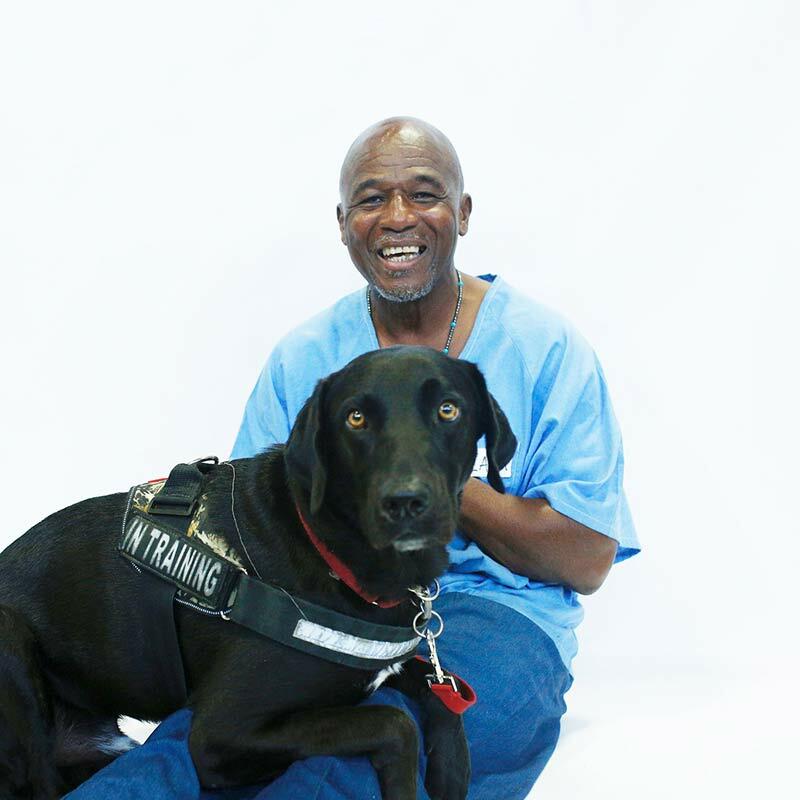 By combining highly effective dog-training methods with proven rehabilitative models for our incarcerated participants, we have been able to change lives. 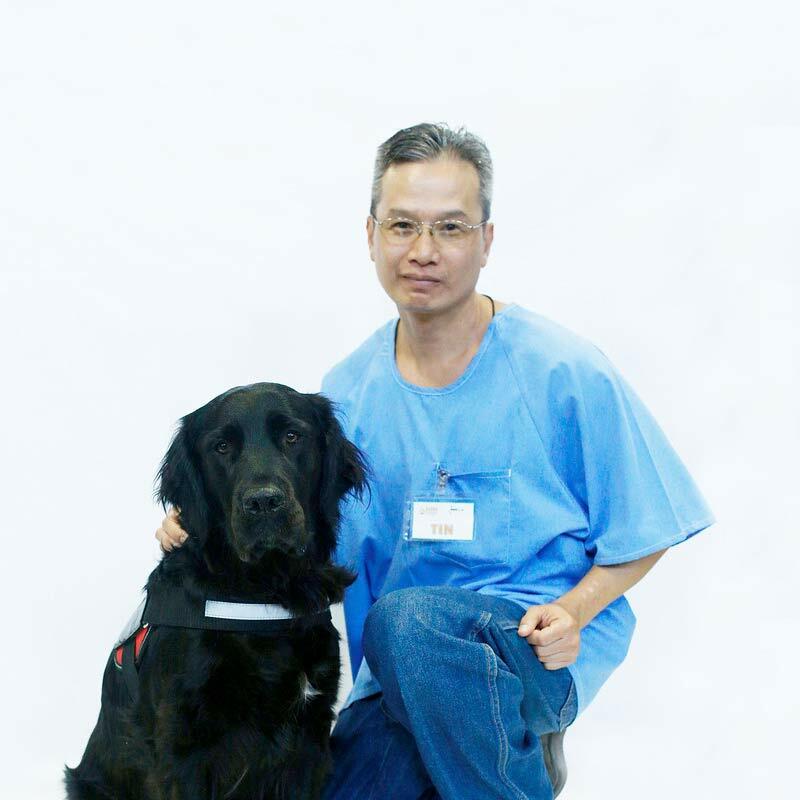 Why are dogs an effective tool for rehabilitation? Dogs have the ability to motivate people. They have a natural capacity to open up to each moment as it unfolds – the sights, sounds, and smells. This means a lot in particular to people who have been judged, incarcerated, and often forgotten by the outside world. Dogs live in the moment, and they help humans to do the same: dogs motivate humans to discover their own environment. The dogs don’t have opinions, critiques, and verdicts. They love unconditionally, and for many of our trainers, this is their first experience with that sort of love. 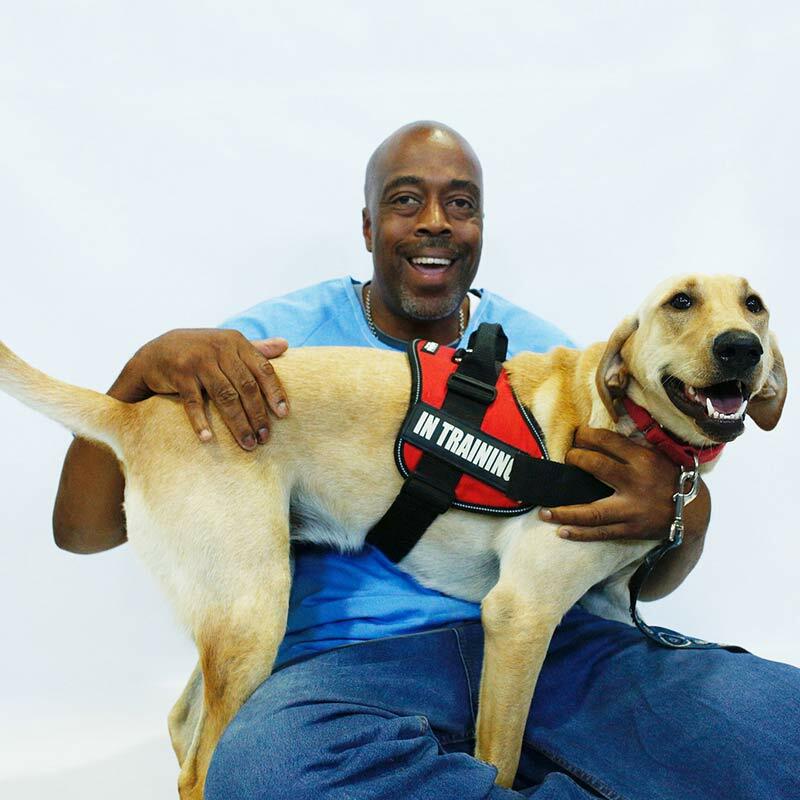 This training program prepares our rescue dogs to be Service Dogs for military Veterans with PTSD. Dogs learn to perform up to 60 commands and all the essential needs of an assistance animal. There is no cost to the veteran for their service dog. 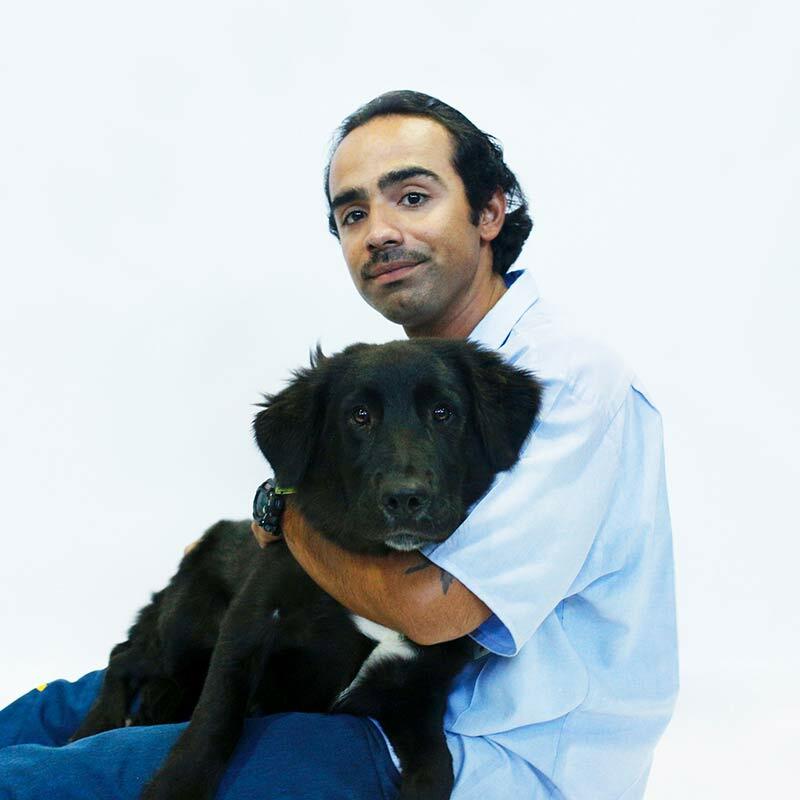 Our trainers at the prison partner with our rescued dogs to teach basic commands, behavior and socialization. 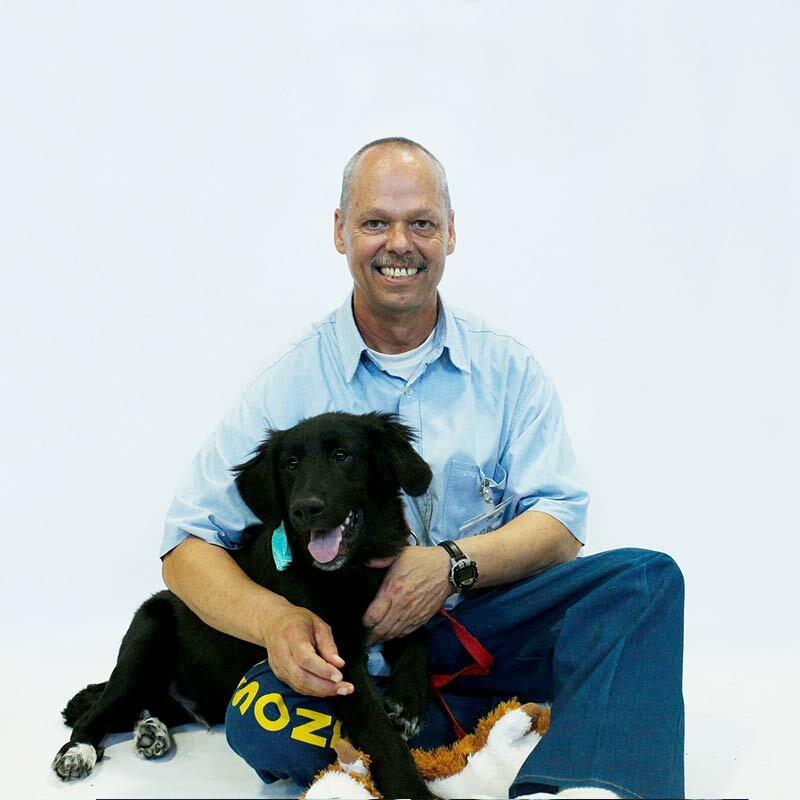 Over the course of the 12 weeks, prisoners and dogs prepare for the American Kennel Club’s Canine Good Citizen (CGC) certification, the gold-standard in canine obedience. Paws for Life, not only my road to growth but my MIRACLE. Paws for Life freed me in so many ways. Paws for Life is my way to make living amends.  Paws for Life is a way for me to give back. The Paws for Life program has been a light in a dark place for me. 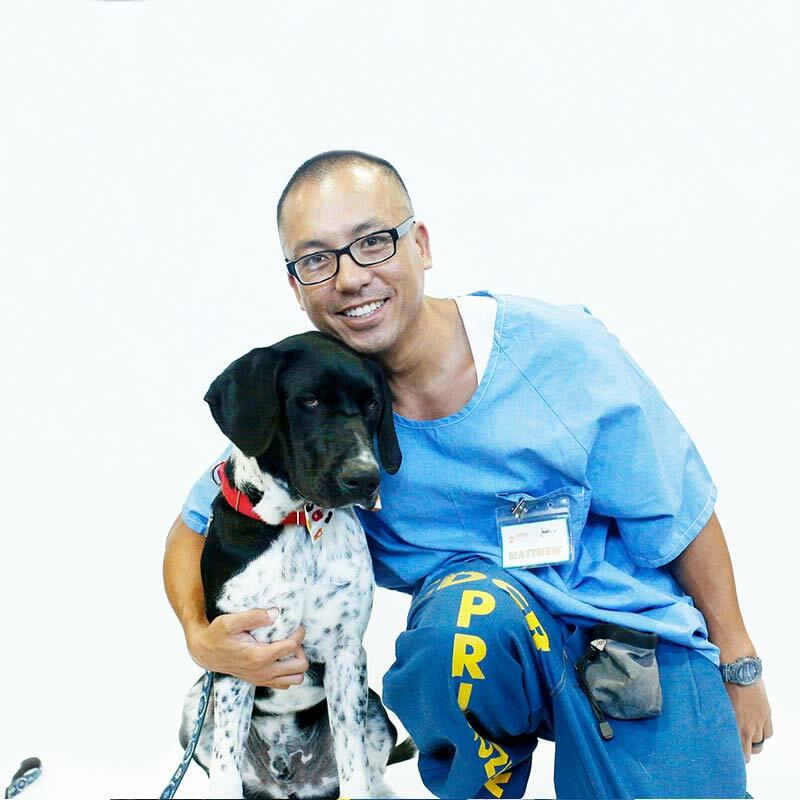 Paws for Life Program has allowed me to give back to humanity. Paws for Life has given me the opportunity to once again feel like a productive citizen.